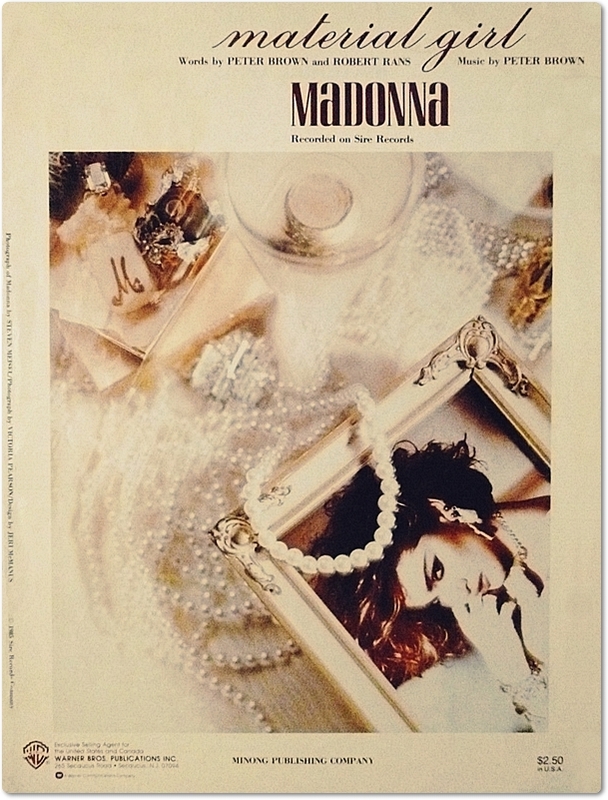 “He thinks he can impress me with expensive gifts… you want it?” Madonna says to her friend on the phone at the beginning of the Material Girl video. Then at the end, she’s more impressed by the guy’s (borrowed) old truck, than any fancy diamonds he tossed in the bin at the beginning after overhearing her phone conversation. This is the whole point of the video — which was and is still missed by most people who didn’t see the irony in ‘Material Girl’ and mistook it literally, unfortunately. So Madonna was forever misjudged as a superficial, materialistic Material Girl, instead of an impoverished, revolutionary, DIY artist, with roots in the punk & new wave culture of late-1970s early- 80s Lower East Side NYC. Ok, so maybe now she loves designer labels and lives up to her Material Girl reputation — sometimes — but in the beginning, when Material Girl was recorded, she was criticizing materialism. Even after many years, Material Girl is a brilliant song!